my husband recently acquired a turntable thanks to christmas and ‘the best wife ever’, and yes i’ve been in the good books ever since. as a result, i also seem to find myself trawling through record stores each weekend in search of the latest vinyl that he’s fixated on finding. for those wondering: usually blues or rock. usually at least a decade or two old (think doobie brothers, the eagles etc.). 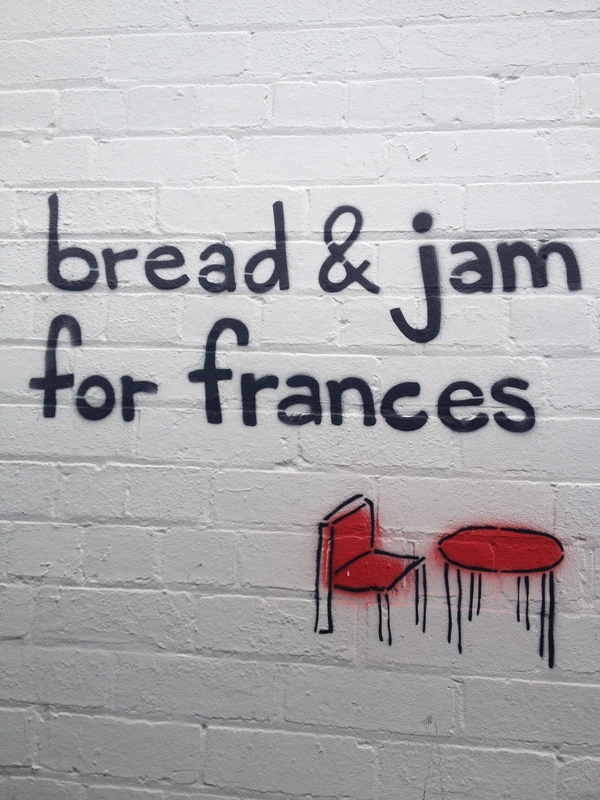 adjoining the readings store in hawthorn is this delightful cafe called bread and jam for frances. with direct access to the book store, fresh baked goods and delicious food – it was a perfect sojourn in our record-finding quest. 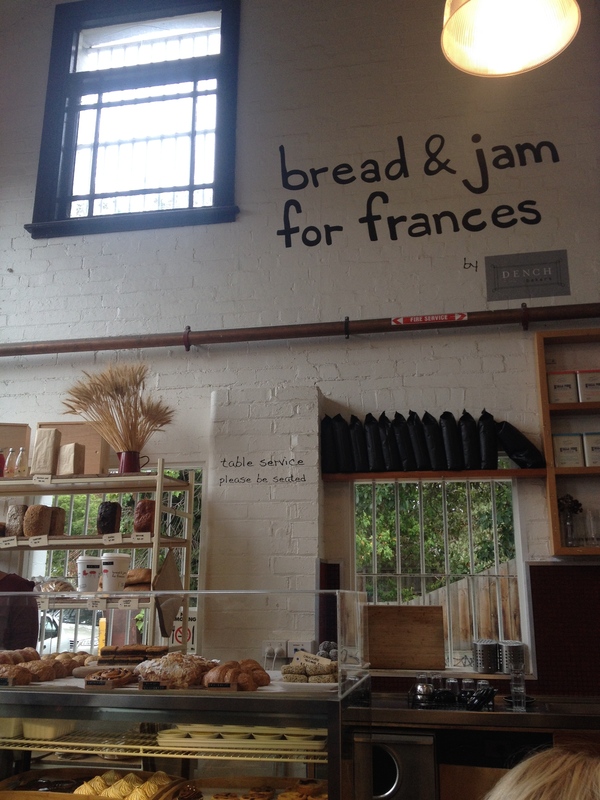 set in an old dance hall, it is also the home away from home of dench bakers. 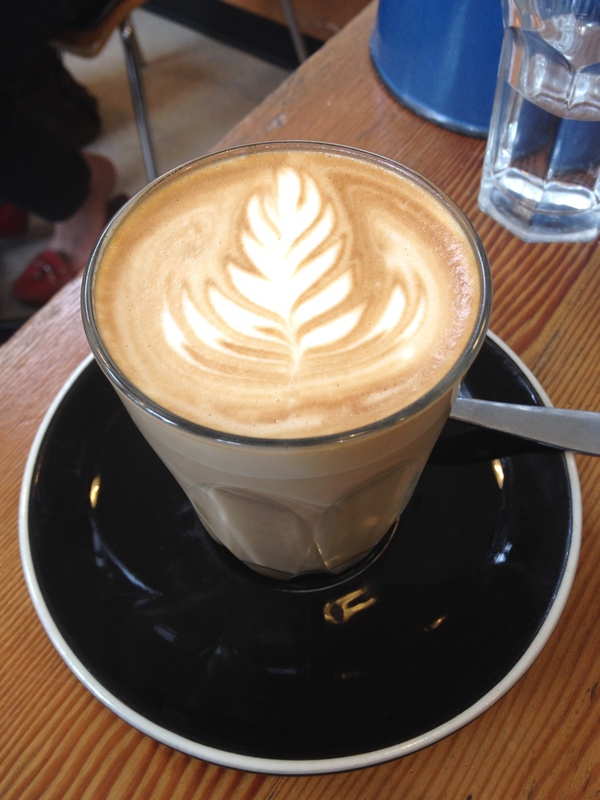 the coffee was fabulous and on a cold autumn day, i couldn’t resist the porridge. 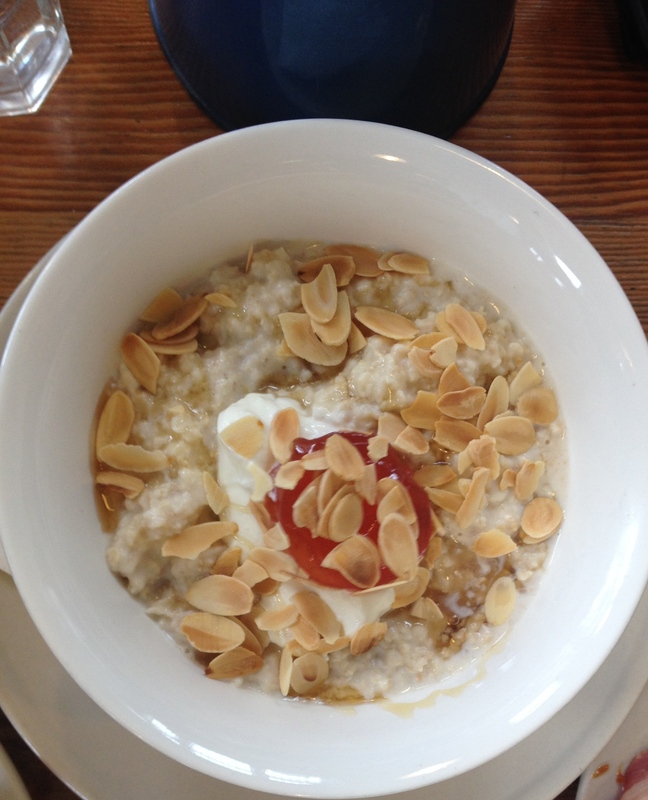 porridge with poached seasonal fruit, almonds and yoghurt.